Home > Anime > Boku No Hero > Boku NO Hero First-Look at Its Next Big Villain. My Hero Academia' a First-Look at Its Next Big Villain. My Hero Academia is move on from season 3's "Hero License Exam Arc," and will be moving into its next big story arc, the "Internship Arc" with any new chapter of the series, there needs to be a new threat for Izuku Midoriya and his U.A. schoolmates to face - and thanks to the preview for the upcoming episode 62, "A Season for Encounters", that have first look at what that threat will be…. The episode 62 of the anime shows this first look at "Overhaul", who is become one of the more prominent villains in the "Intership Arc that want to know learn more about Overhaul's place in the "Internship Arc," and more about his character. As Boku No Hero Academia manga fans already know, Overhaul is a member of "Shie Hassaikai," a Yakuza group he formed out of the previous generation of underworld rulers. With All Might gone, Overhaul sees a chance for his organization to advance in the underworld, that puts him in conflict with Tomura Shigaraki and the League of Villains. 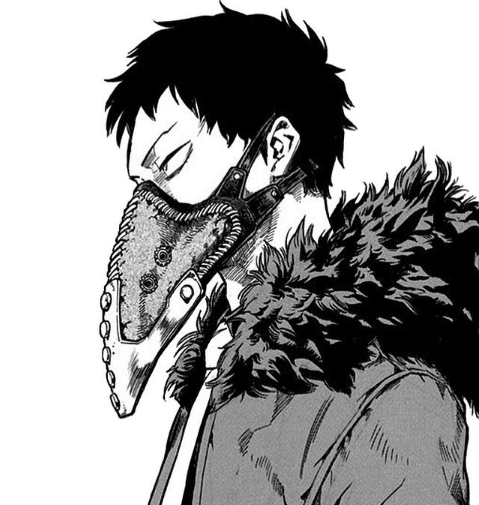 Overhaul's quirk is "overhaul" like name sake, allowing him to break down and put objects through physical contact & wears gloves to help control his potentially destructive powers, as well as wearing a bird-like mask that is the staple of Shie Hassaikai's roster of the "Eight expendables" - a dark twist on Buddhism's Eight Precepts. The mask also protection, as Overhaul is a serious obession and can't stand being touched by other people.